Mission: The Community Life and Safety Committee addresses issues of crime and safety in the neighborhood as well as promotes our shared common spaces to create a vibrant community for all. Among other projects, this committee promotes activities at Mueller Park, partnership with Jefferson Elementary School, coordinates the Lyndale Open Streets event and National Night Out gatherings, initiates street art, gardening, and safety programs, and serves as neighborhood liaison for the Minneapolis Police Department (MPD). This committee meets on the 4th Thursday of the month from 6-7:30 at rotating locations. If you are interested in joining the committee, please send an email to committee chair Alicia Gibson, gibson.alicia@gmail.com. We serve as your neighborhood liaison to the Minneapolis Police Department's 5th Precinct. In addition to supporting their efforts to build a system of block leaders, we also keep track of crime statistics and provide opportunities for feedback. This year we hope to bring the implicit bias training all officers and civilian staff at MPD undergo to better understand what we can expect in our interactions, and to gain valuable skills for making our own behaviors more conscious and just. Mark your calendars for Sunday, June 10. The annual open streets event is a great way to support your community while having a really great time. Are you ready to think about the summer? The Whittier Recreation Center will be closed for renovation (except for the pool and gym) for the season, so much of the regular Whittier activities will be relocated to Mueller Park. As a result, Minneapolis Park and Recreation Board is providing extra funding for programming at Mueller. Do you have suggestions for activities for youth or adults that you would like to see this summer? Share your ideas with our Executive Director, Paul Shanafelt, at paul@thewedge.org. LHENA is a proud supporter of our neighborhood public school and will be strengthening our partnership over the next year. If you have a skill or passion that you can share with our neighborhood children, please contact Alicia Gibson. Ideas include: gardening, cooking, yoga, cursive writing, filmmaking, the list goes on! Please join us for a workshop and social. 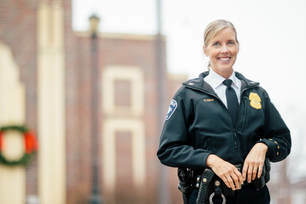 During the first hour we will learn more about the Minneapolis Police Department’s block leader program and share announcements about LHENA events and projects. Get signed up to receive crime alerts, or learn new ways to get more info about the crime alerts you already receive. This is a great opportunity to meet personnel from the 5th Precinct Police Station. The second half of our event will be an old fashioned neighborhood social. If you are new to the neighborhood or have never attended a LHENA event we would love to meet you. Pizza will be provided, and we encourage you to bring along your favorite beverage to share.